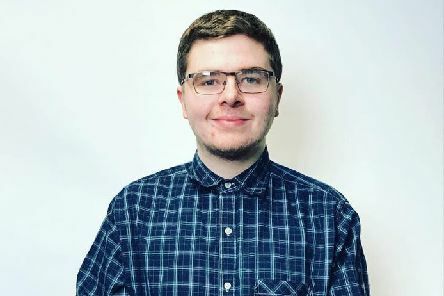 A talented young animator from Greenisland was runner-up in the Inter-Colleges media competition with his animation of a ‘Zombie News’ report. 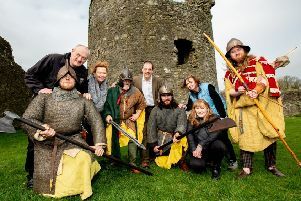 Tourists thrilled by the medieval fantasy world of Game of Thrones are to be introduced to the intrigue and power struggles of the real-life history of Ulster. 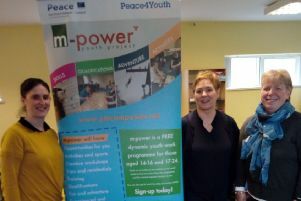 A new programme is being offered at Larne YMCA to enable young people to make “positive changes in their lives”. 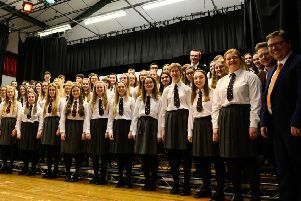 Carrickfergus Grammar School singers are fine tuning their performance ahead of Sunday’s final of BBC Northern Ireland School Choir of the Year. 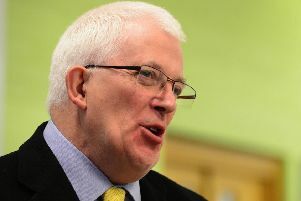 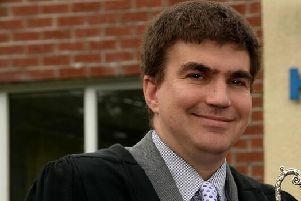 Former Carrickfergus Grammar School principal Kieran Mulvenna has been appointed to the board of the Education Authority (EA). 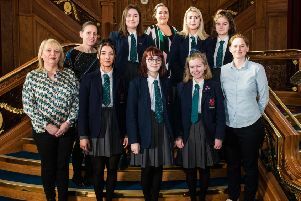 Fourteen talented young deaf artists and authors from Jordanstown and Glengormley High schools were rewarded for their creativity in a ceremony at Belfast City Hall recently. 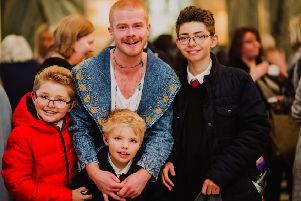 Pupils from Larne and Carrickfergus Grammar schools were among 250 participants at Titanic Belfast’s annual International Women’s Day celebrations. 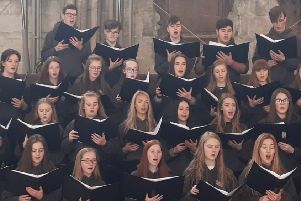 Fifty-two Carrickfergus Grammar singers performed in the Austrian capital Vienna last week. 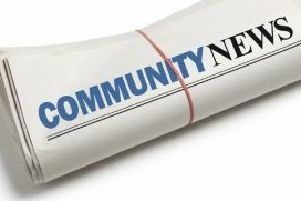 Mid and East Antrim PCSP, the Council’s Good Relations department in association with the PSNI are bringing a thought-provoking play to Larne and Carrick, on March 4 and 5. 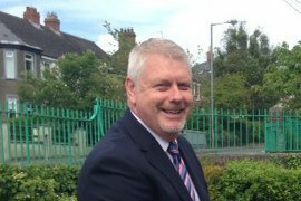 Central Primary School in Carrick hosted a training event for teachers and classroom assistants in East Antrim. 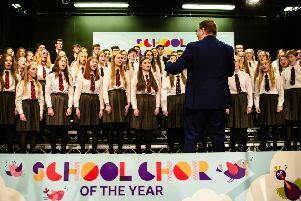 Carrickfergus Grammar has won a place in the semi-finals of the Northern Ireland BBC School Choir of the Year. 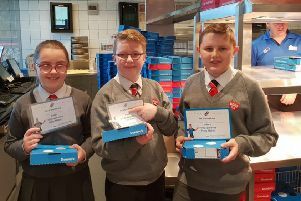 Eden Primary School PTA and Domino’s in Carrickfergus came together recently to hold their annual school pizza competition. 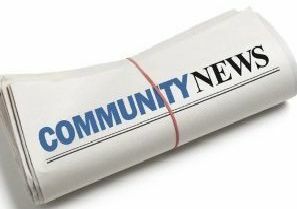 Two Carrick schools will be participating in the BBC Northern Ireland School Choir of the Year competition. 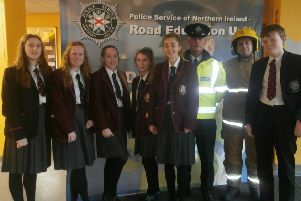 Carrickfergus Grammar School hosted the PSNI Roadsafe Roadshow on Thursday (February 7). 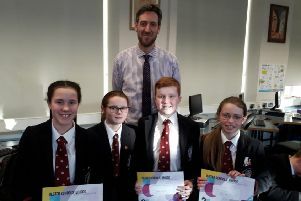 Carrickfergus Grammar’s bridge teams have been successful in their recent competitions. 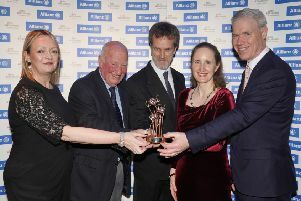 A group of children in Whitehead has won funding for a new sculpture to be installed in the seaside town. 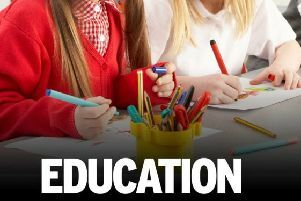 Parents have been asked to help bridge a shortfall in funding by a cash-strapped East Antrim primary school. 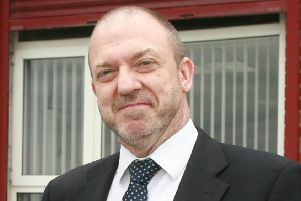 Alliance MLA Stewart Dickson has expressed disappointment that no East Antrim schools have been included in the latest School Enhancement Programme announced this week by the Department of Education.